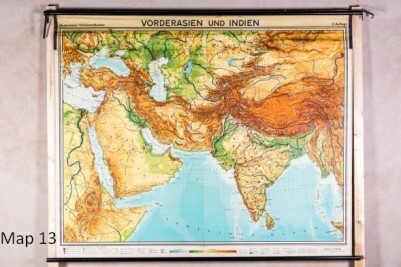 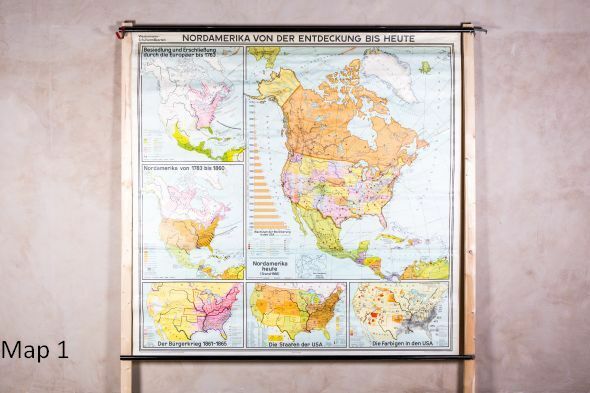 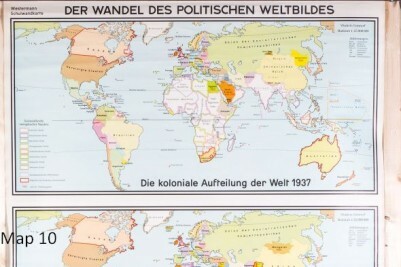 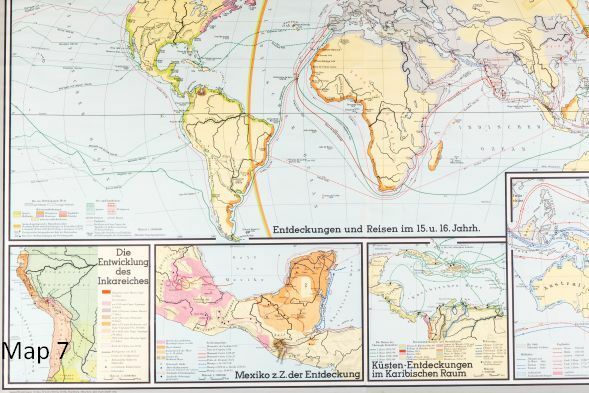 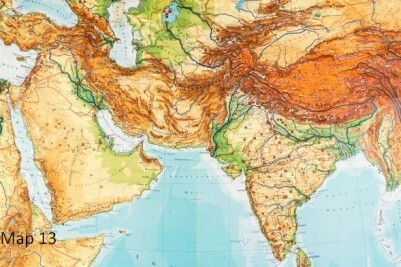 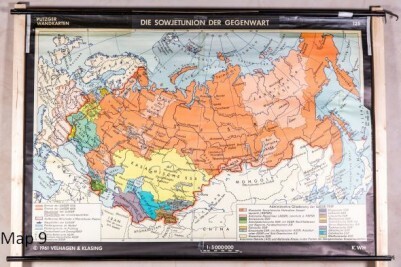 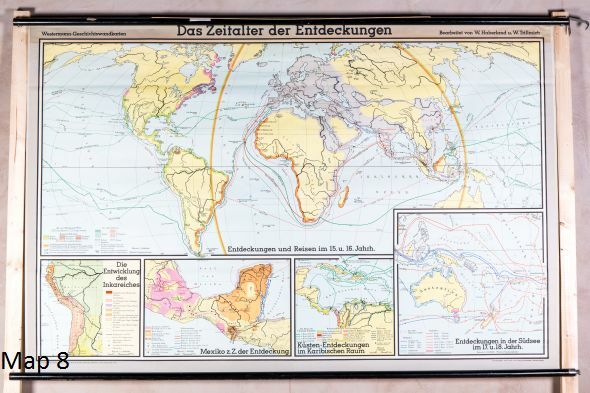 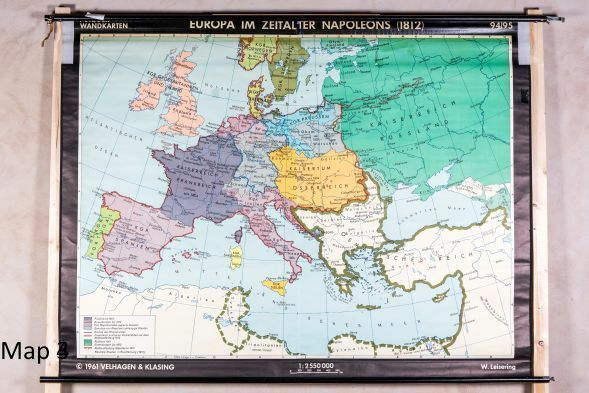 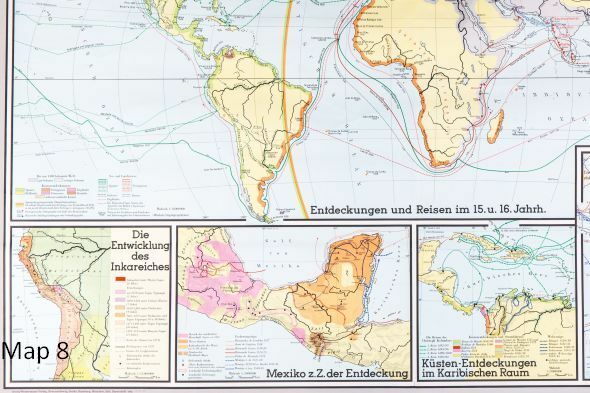 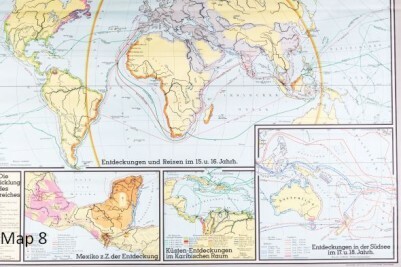 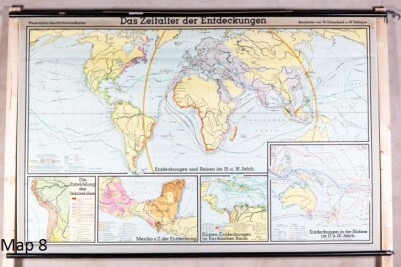 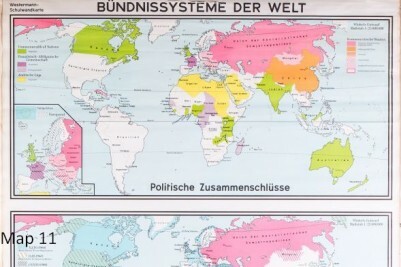 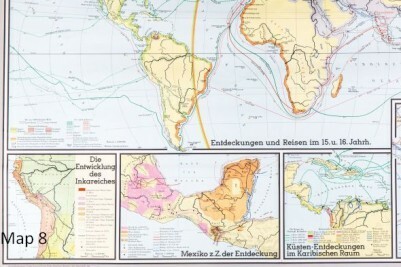 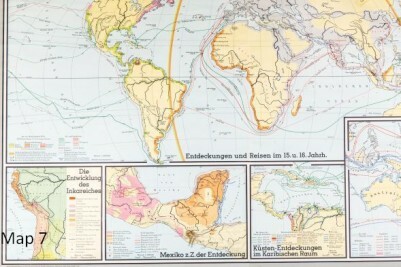 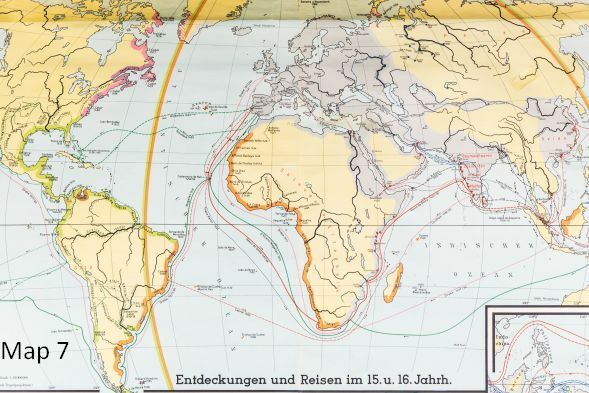 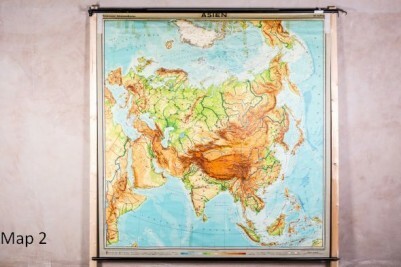 Introducing our unique collection of vintage world maps. 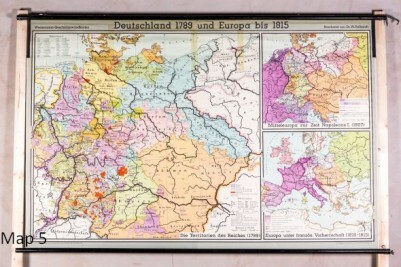 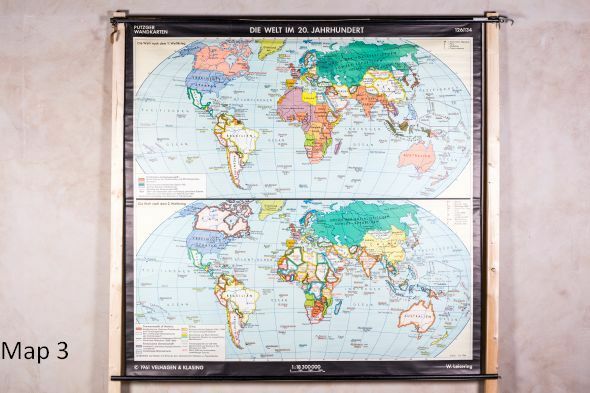 We have a large selection of these wall maps in stock, in a range of colours, sizes and styles. 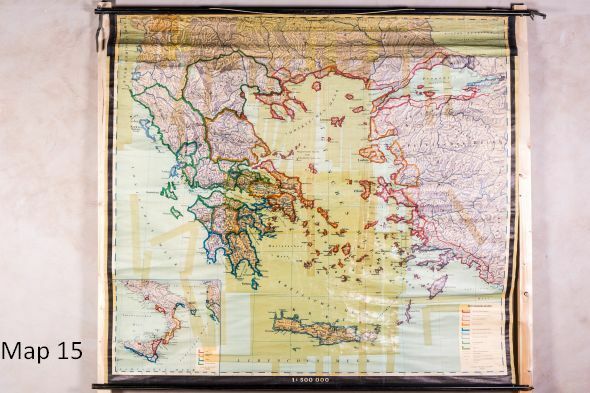 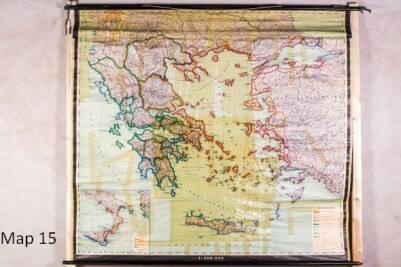 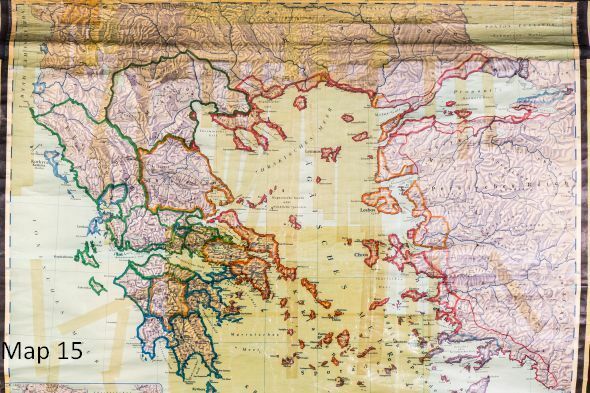 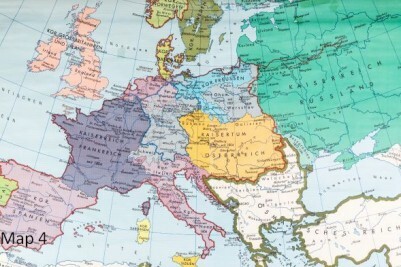 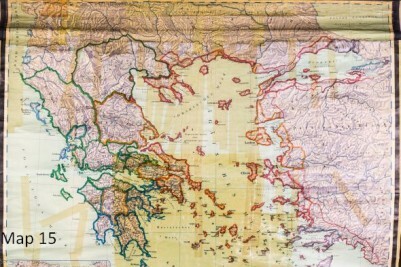 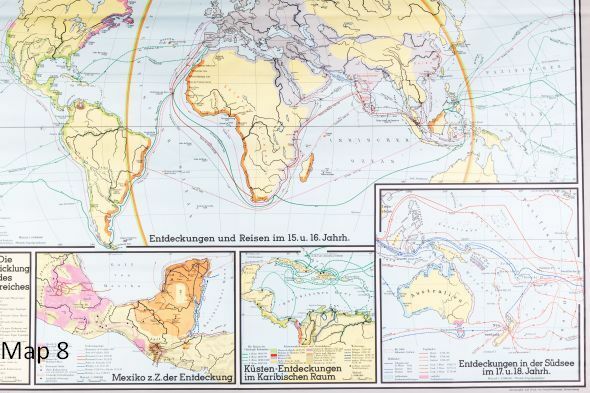 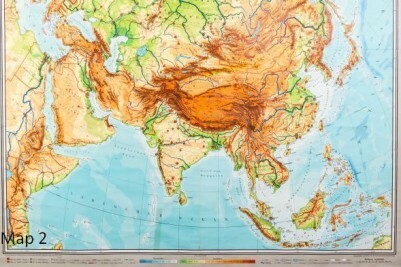 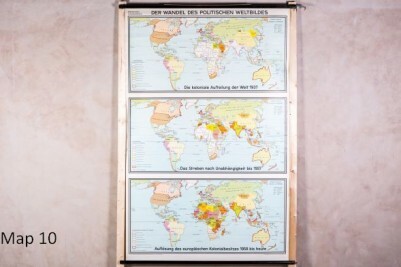 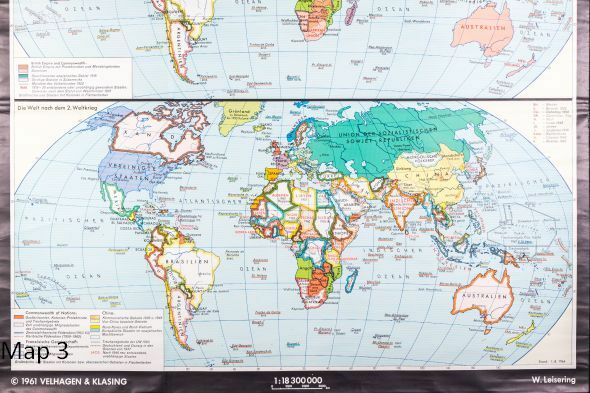 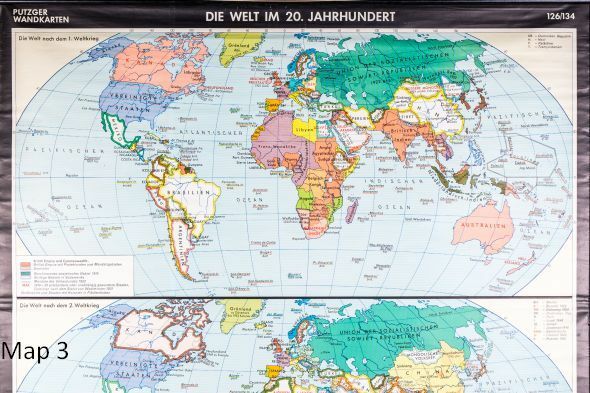 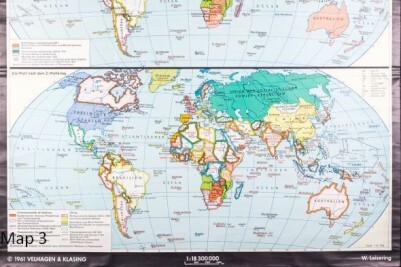 Printed on canvas, each map comes attached to two black beech rollers – enabling the canvas to be rolled and stored. 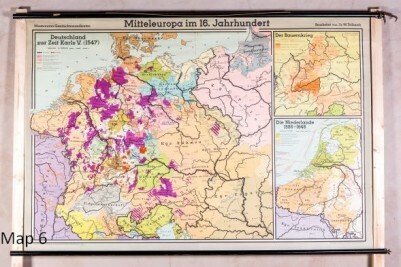 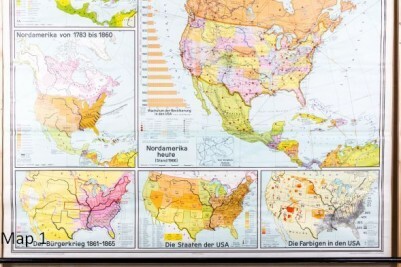 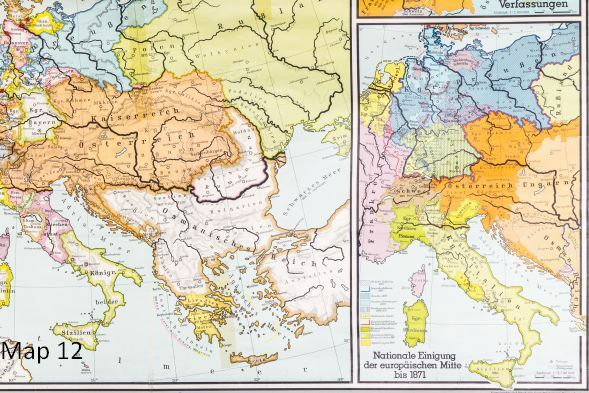 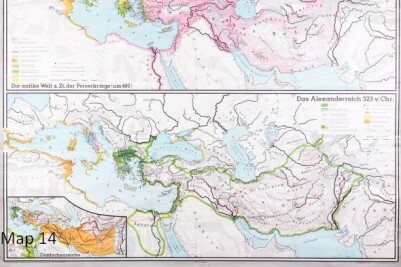 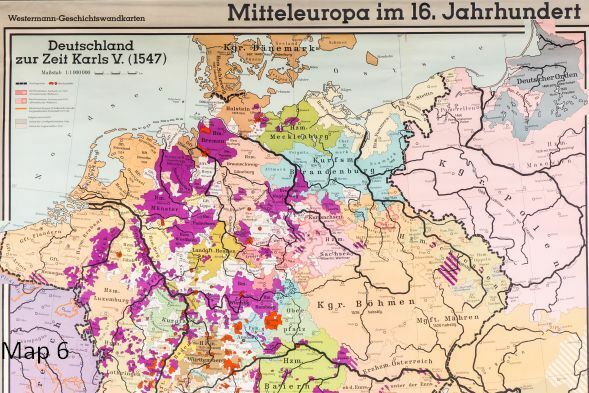 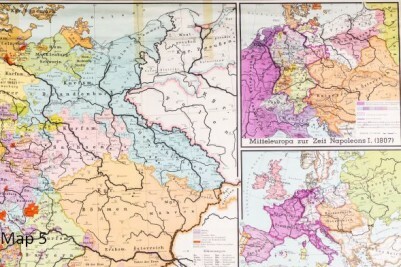 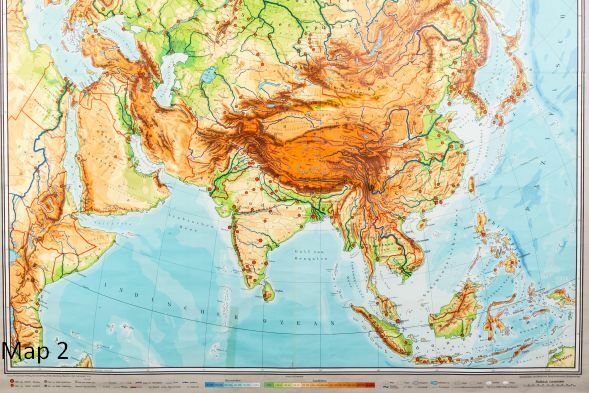 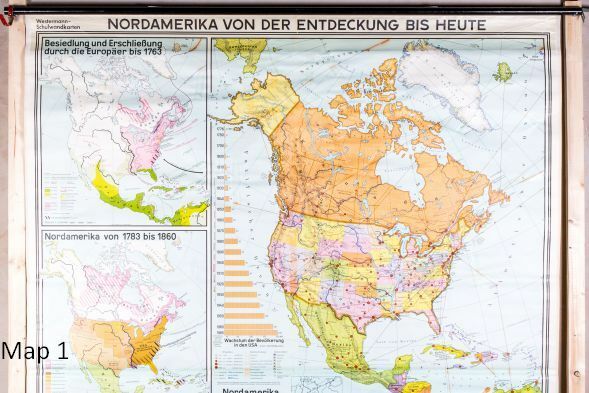 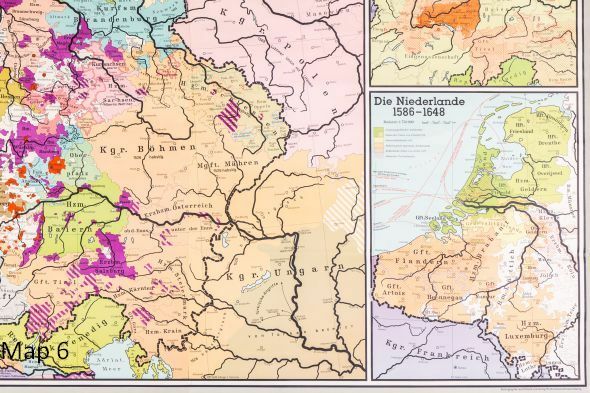 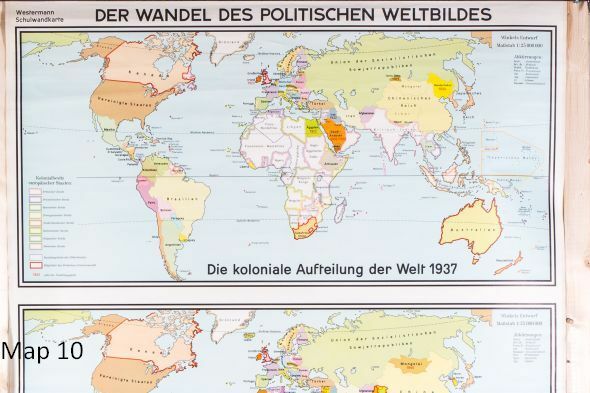 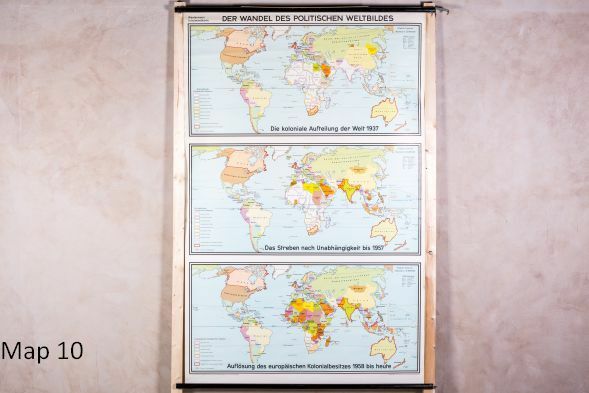 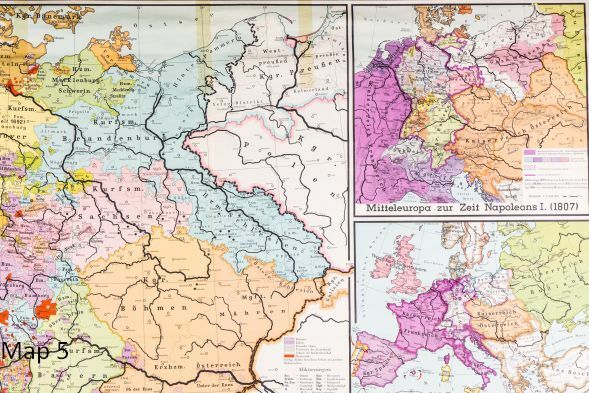 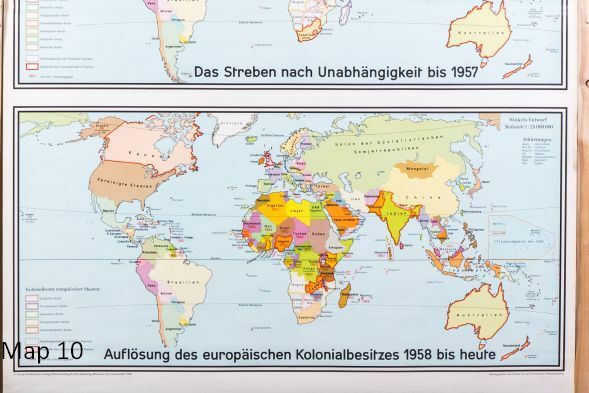 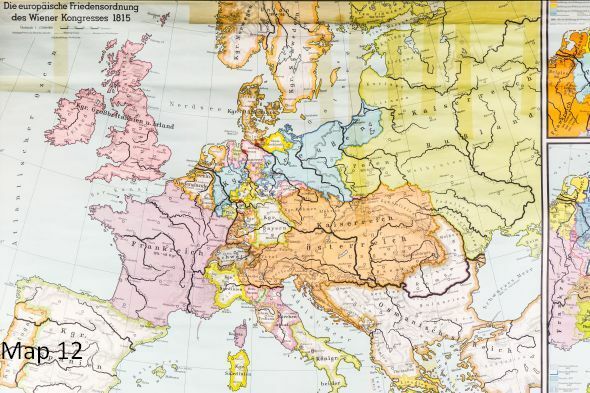 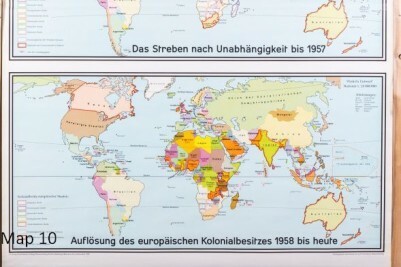 These maps would most likely have been used in the geography department of a school, but they could now be utilised as wall art in a shop, restaurant, pub or office. 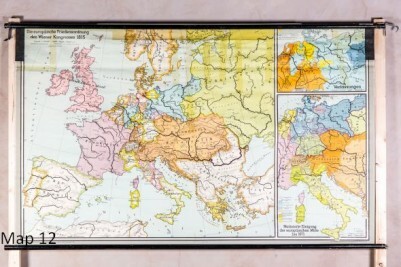 Here we have photographed a selection of 15 of the maps that we have available, which will be sold on a first come, first served basis. Please state the map number you would like (printed on each image) when placing your order. We do have more maps in stock, but we do not have the facilities to photograph them individually. 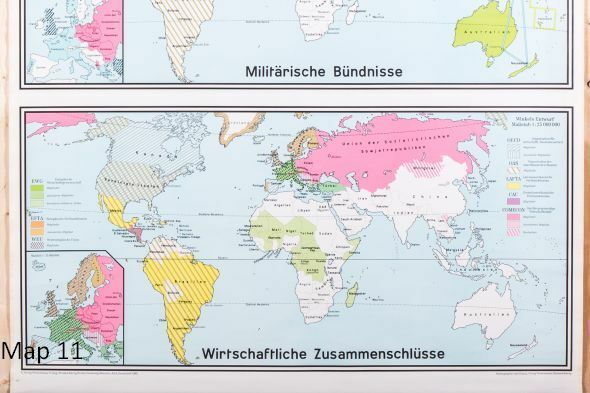 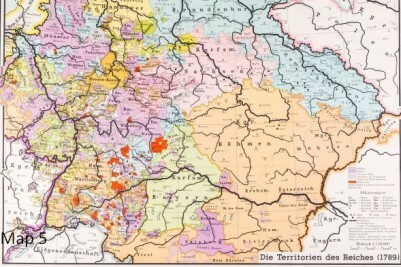 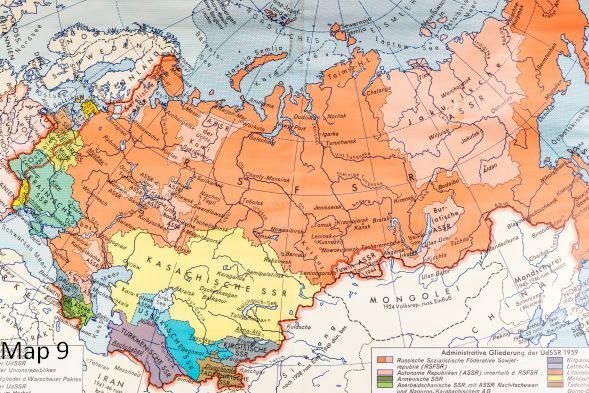 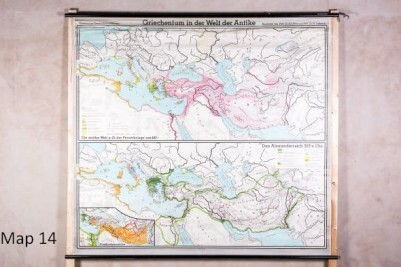 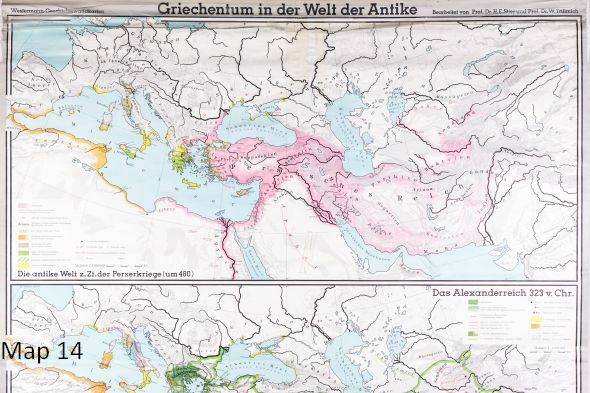 You are most welcome to purchase more maps, but please note that if you do not state a specific number you will receive a map at random from our collection. 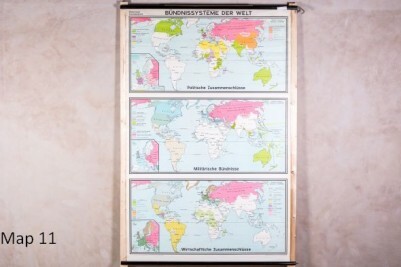 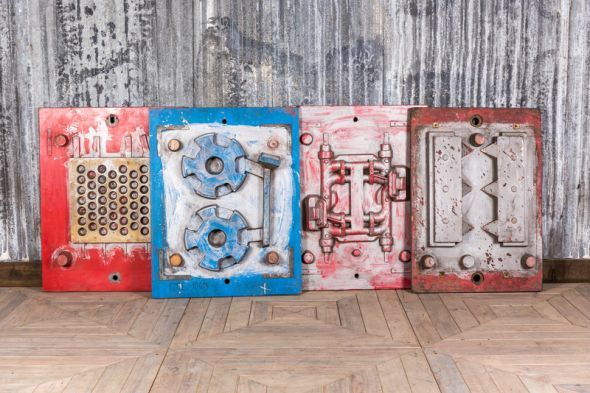 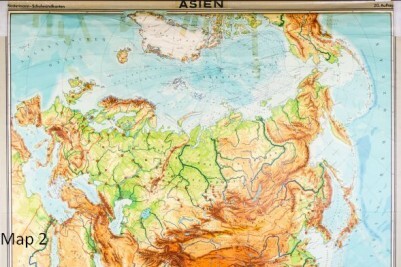 These vintage world maps have lots of character and charm – a really unique feature for any interior. 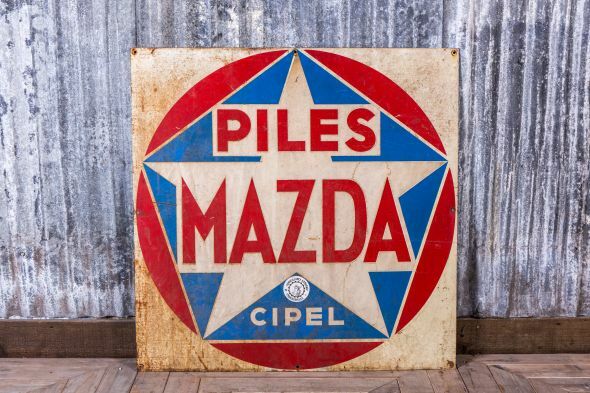 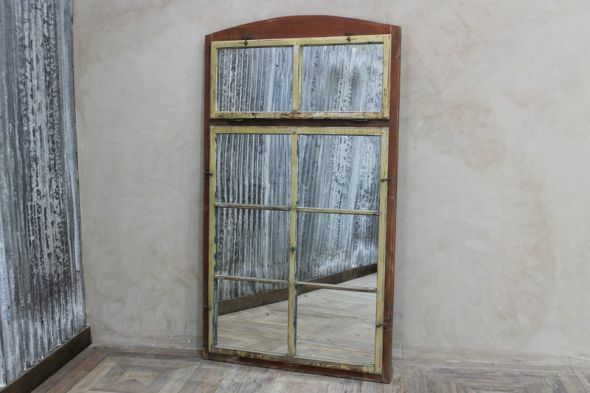 They date from the mid-60s and may have some signs of wear and tear due to their age.